Design can be about problem solving and the attempt to make change happen, creating something innovative as well as focusing on the aesthetics and usability. Designers are often inspired by the world around them, this include the lifestyle, climate, cultural and political influences that can cause the meaning of design to different designers. The textile production in Indonesia focuses on the importance and relationship to the supernatural. The textiles communicate their values and beliefs through the use of materials and the amount of time involved in the process of making, the more detailed and time-consuming the better. Their beliefs in colour also effect their process of textile designs, for example, indigo is magical and dangerous, morinda red is only for nobility, because of it takes multiple times of dye procedures to achieve intense coloring, the richer the color the more valuable it is. The patterns are also symbolic, with designs to help infants grow, bringing luck for brides and grooms, as well as designs that are only worn by royalties. In different island of Indonesia, the textile design is very different in relation to their culture. 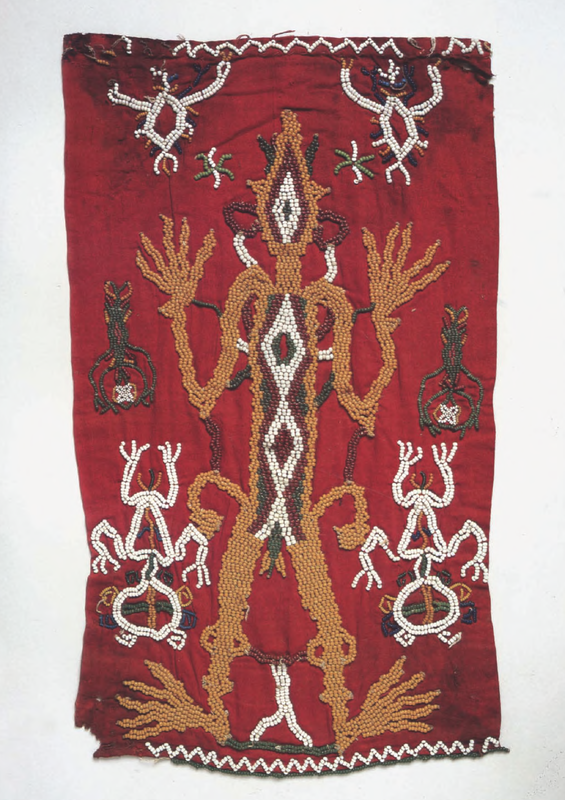 In Sumba, lizards symbolize sexuality and concupiscence, while red is associated with earth, women, fertility and blood. The wrists, elbows and knees are believed to be the repositories of energy. The nassa shells and beads used in the production of this textile piece are very valuable as they are imported from India and Europe. A lot of the artworks from Sumba talks about sexual reproduction and activities. 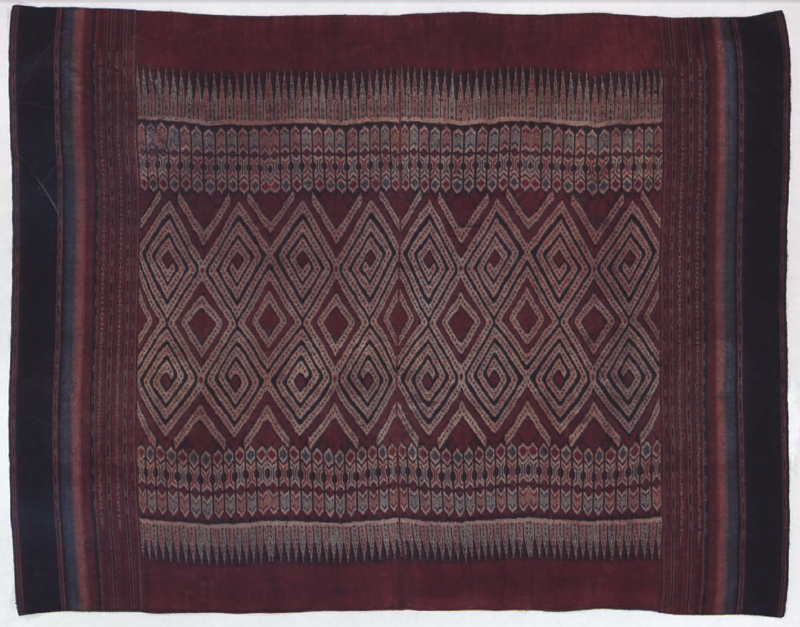 Toraja are identified with patterns, shapes, focusing on the material and process of the production, and the quality and feel of the finished result. Using the technique of ikat and creating the border print design which is timeless and sophisticated. Lampung textiles basis off traditions and beliefs from the ancient time, these images are presented in a painterly classical manner with either abstract or simple stick figure way of illustration object and stories. The story of “ships of the dead” is a common story told in these textiles, as they believe is how their ancestors boarded to the land that symbolizes the Lampung society. 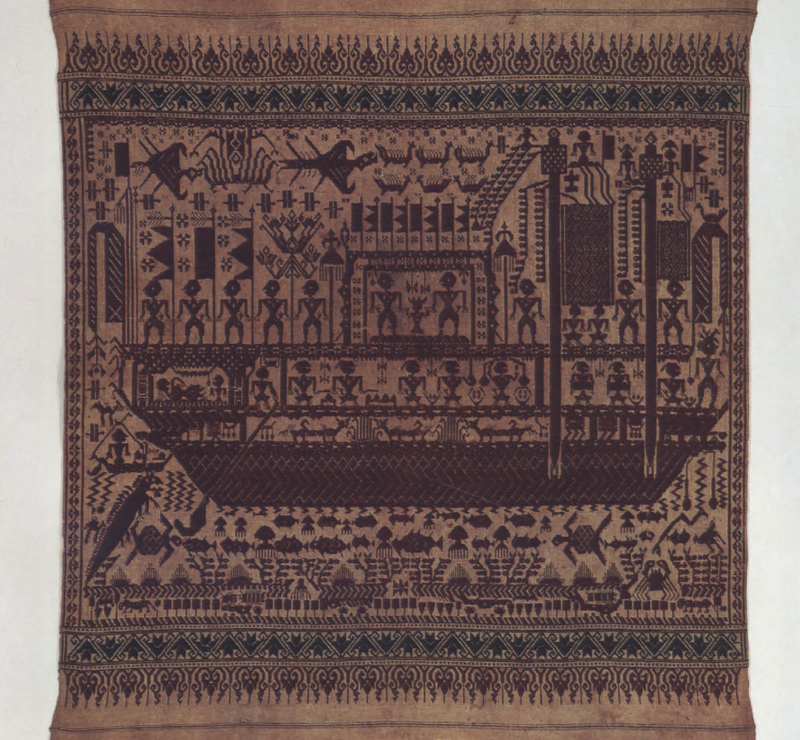 This is an image of great ships transformed into communities, this iconographic image stands very far apart from other textile traditions in Indonesia. This perhaps suggests that Lampung has been an ignored with little economic or political consequences. Piya, Wai Ratai, Lampung Bay 79X73 cm (31X 281/2 in.) [ Exhibited: “Splendid Symbols: Textiles and Tradition in Indonesia,” Textile Museum, Washington, DC. , 1979. Published: Gittinger 1979, no. 55; Holmgren 1979, p. 30; Gittinger 1980, p. 122; Holmgren and Spertus 1980, fig. 5. We don’t usually associate textile designs with religious significant. Its like paining in other cultures, textile production was consisted as the greatest two-dimensional art form in Indonesia. Holmgren, R. and Spertus, A. (1989). Early Indonesian textiles from three island cultures. New York: Metropolitan Museum of Art. Forshee, J. (2006). Culture and customs of Indonesia. Westport, Conn.: Greenwood Press. The Batik Route, (2014). Parang Batik Motif. 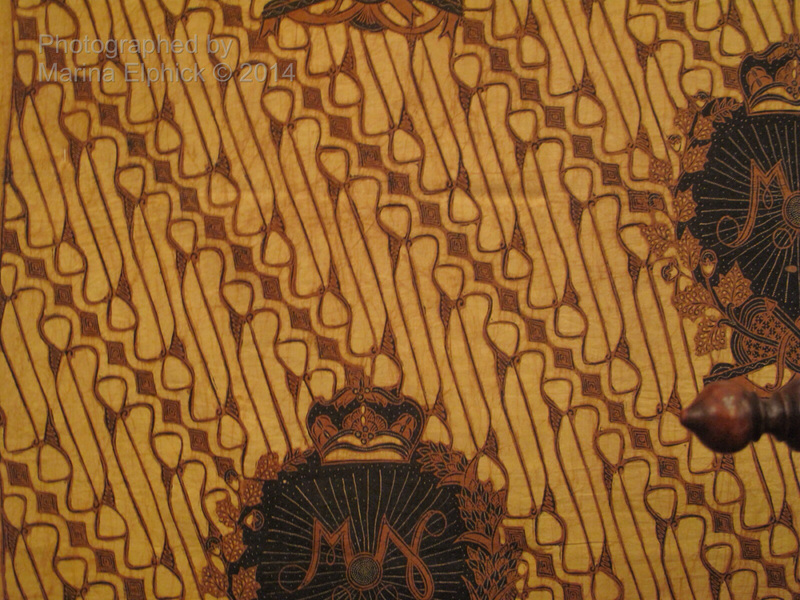 [online] Available at: http://marinaelphick.com/2014/04/17/parang-batik-motif/ [Accessed 1 May 2015]. I really like this. Some things in this blog were very interesting, like the symbolism of lizards and body parts.It is really nice how each colour represents a certain element of Indonesian culture. It really illustrates true Indonesian culture.